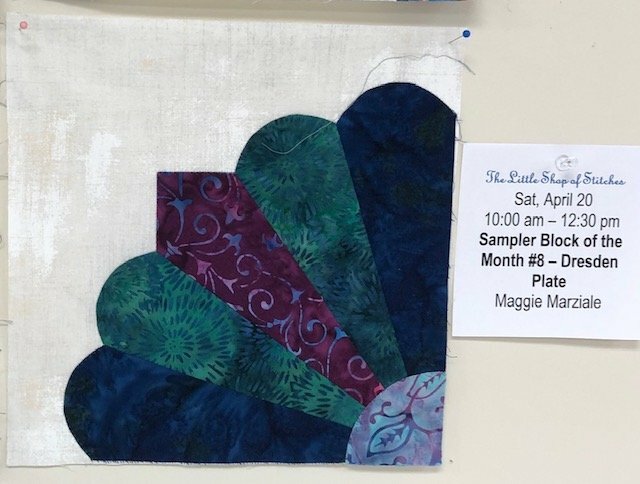 Let's explore a variety of blocks and techniques in this monthly class. This month we'll learn how to make a Dresden Plate. We'll learn the tricks to piece this traditional block quicker than the traditional way. Come join our sampler class for just this technique, or join us for them all!